LED, stands for Light Emitting Diode which is a semiconductor that emits light by the process of electroluminescence in which electrons combine with the electron holes in the equipment when voltage is applied and light is emitted due to the release of protons. Above all LEDs are extremely energy efficient therefore eco friendly lights. It is the best choice for not only environment conscious people but also people who like to save money wherever they can and that includes almost all of us. LEDs use way less amount of electrical energy for illumination as compared to the regular halogen bulbs, incandescent lights and even our beloved CFLs. They also do not emit any kind of IR or UV radiations and so are the safest bet to light up stores, museums, art galleries without finding you paintings or products faded after a while due to effect of IR and UV radiations. 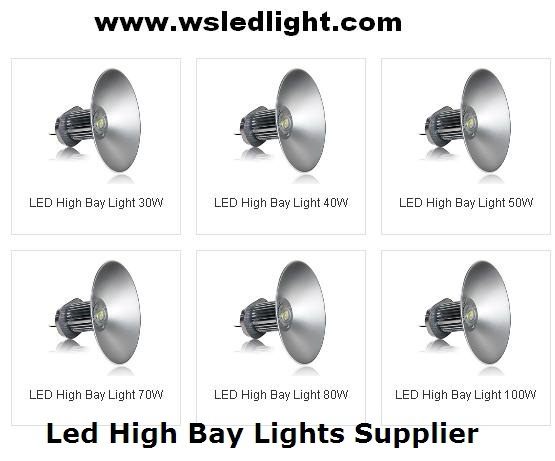 You can choose from a reliable Led High Bay Lights Supplier. LEDs come in all sizes and types like spotlights, flashlights, bulbs, globes, reflectors, nightlights, and decorative lights as well as for low bay and high bay fixtures. This article will tell you about LED high bay lights and where and how you can get them. High bay is an industry terminology for heavy duty lighting solutions. As the name suggests, high bay lights are fixtures that can be put up on very high ceilings, of at least 25 feet and higher. High ceiling environments can be found in many places such as malls, super markets, warehouses, factories, theatres, and even workplace in open spaces. In such environments, you will find many vertical areas that need to be properly lit along with the floor e.g. in supermarkets the shelves should be lit from top to bottom and so should be the walking space. So choose the best of Led High Bay Lights Suppliers.